DimensionWidth : 30 cmHeight : 2.5 cmLength : 120 cmColors White : Daily ProductRed : Raw MeatGreen : VegetablesFeatures And BenefitsAntibacterial PlasticDishwasher safeNSF approvedPolyethyleneNon porousEasy to cleanA different chopping board is needed for each type of food that os used. Using color-coded board will help you ..
DimensionWidth : 60 cmHeight : 2.5 cmLength : 120 cmColors White : Daily ProductRed : Raw MeatGreen : VegetablesFeatures And BenefitsAntibacterial PlasticDishwasher safeNSF approvedPolyethyleneNon porousEasy to cleanA different chopping board is needed for each type of food that os used. Using color-coded board will help you ..
DimensionWidth : 45 cmHeight : 2.5 cmLength : 120 cmColors White : Daily ProductRed : Raw MeatGreen : VegetablesFeatures And BenefitsAntibacterial PlasticDishwasher safeNSF approvedPolyethyleneNon porousEasy to cleanA different chopping board is needed for each type of food that os used. Using color-coded board will help you ..
DimensionWidth : 100 cmHeight : 3 cmLength : 200 cmColors White : Daily ProductRed : Raw MeatGreen : VegetablesFeatures And BenefitsAntibacterial PlasticDishwasher safeNSF approvedPolyethyleneNon porousEasy to cleanA different chopping board is needed for each type of food that os used. 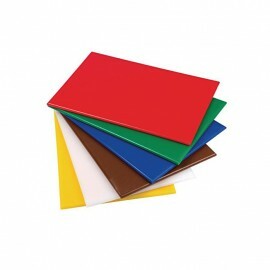 Using color-coded board will help you k..
DimensionWidth : 100 cm Height : 2.5 cmLength : 200 cmColors White : Daily ProductRed : Raw MeatGreen : VegetablesFeatures And BenefitsAntibacterial PlasticDishwasher safeNSF approvedPolyethyleneNon porousEasy to cleanA different chopping board is needed for each type of food that os used. Using color-coded board will he..
Dimension : Width : 30 cmHeight : 1 cmLength : 40 cm Colors White : Daily ProductRed : Raw MeatGreen : VegetablesFeatures And BenefitsAntibacterial PlasticDishwasher safeNSF approvedPolyethyleneNon porousEasy to cleanA different chopping board is needed for each type of food that os used. Using color-coded board wil..
Dimension Width : 40 cmHeight : 1.8 cmLength : 60 cmColors White : Daily ProductRed : Raw MeatGreen : VegetablesFeatures And BenefitsAntibacterial PlasticDishwasher safeNSF approvedPolyethyleneNon porousEasy to cleanA different chopping board is needed for each type of food that os used. Using color-coded board will help..
DimensionWidth : 40 cmHeight : 1.5 cmLength : 60 cmColors White : Daily ProductRed : Raw MeatGreen : VegetablesFeatures And BenefitsAntibacterial PlasticDishwasher safeNSF approvedPolyethyleneNon porousEasy to cleanA different chopping board is needed for each type of food that os used. Using color-coded board will help you k..